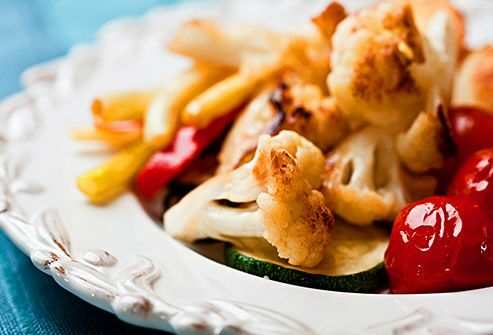 Thanks to its mild flavor and easy-to-work-with texture, cauliflower goes great with so many dishes. It can shine front and center or take the place of high-calorie starches. There are just 25 calories and 5 grams of carbs in one cup. As with all veggies, try not to overcook these guys. The more heat, the less nutrition, flavor, and crunch. Try roasting, steaming, or sautéing. Then again, on occasion, a deep-fried floret dipped in ranch dressing is a great comfort food. This cousin to broccoli is bursting with health benefits. It has a lot of vitamin C, which can do everything from lower your cholesterol and improve blood flow to help control your blood sugar. 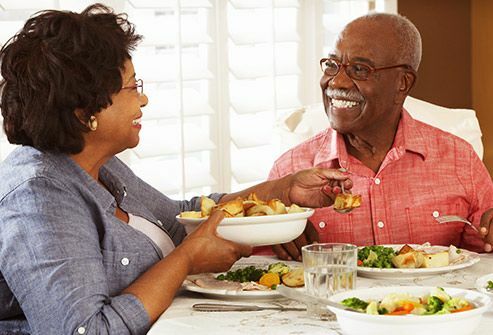 It’s also a good source of vitamin K, which strengthens bones and clots your blood. And it’s both high in fiber and folate, a B vitamin with antioxidants. 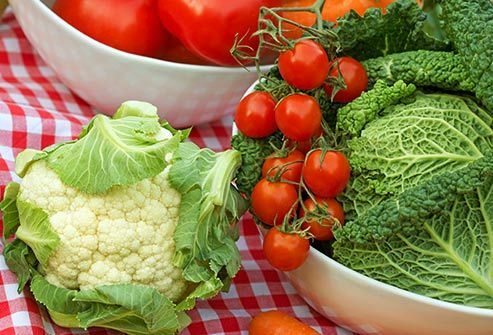 Veggies such as cauliflower and kale have glucosinolates, which might prevent cancer. Studies on the sulfur-rich chemicals show they may block cancer cells, repair DNA, boost immunity, and stop inflammation. So those filling florets not only go to war with heart disease, stroke, and diabetes, but cancer, too. 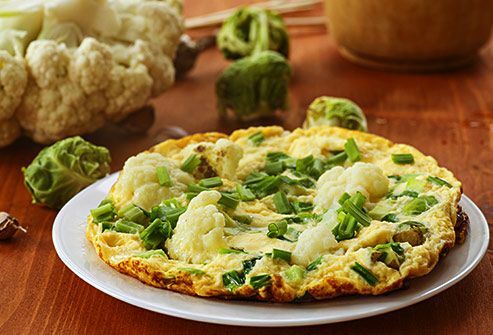 Cauliflower is usually white, which nicely sets off a stir-fry of red peppers and green snow peas. But there are orange and purple hybrids, as well. The orange heads have a sweeter taste and more beta-carotene, which supports healthy eyes and skin. Purple ones have a nutty taste and some of the same disease-fighting antioxidants as blueberries. 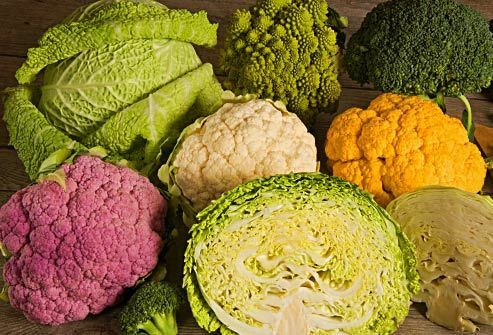 There's even a green kind called broccoflower, with a slightly sweeter taste than either cauliflower or broccoli. There are a number of clever, delicious ways to work cauliflower into everyday meals. Simmered and puréed, it has a velvety texture that makes for rich soups, so you can skip the heavy cream. Finely chopped in a food processor, it’s almost like a grain and can be used in place of couscous or rice. Move over, fish and steak! Pan-seared florets might be your new favorite taco stuffing. Blended with fat-free half-and-half or evaporated milk and Parmesan cheese, it makes a low-calorie pasta sauce that’s also rich and creamy. 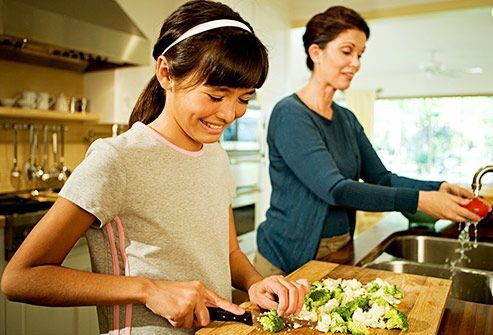 Keep clicking for four of our popular recipes. 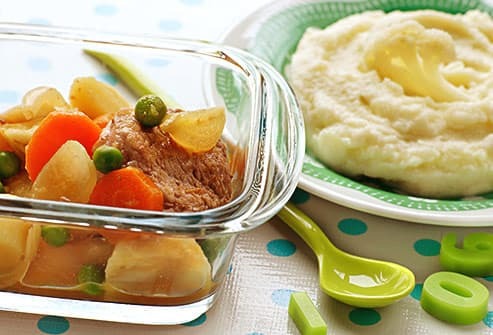 Before you reach for that bag of spuds, consider how many calories and carbs are in a side of mashed potatoes. 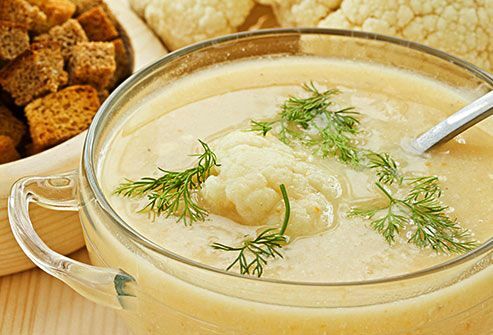 Save upward of 100 calories a cup by switching the tater for cooked, puréed cauliflower. Then go easy on the butter and sour cream. Maybe try seasonings such as Dijon mustard or fresh herbs to add flavor. If you’re allergic to gluten or simply trying to eat healthier, ditch the flour and shred cauliflower to make your pizza crust. Mix this handy veggie with mozzarella and oregano to bake a Mediterranean-style pizza pie with lemon, olives, and sun-dried tomatoes. You can also go traditional with marinara sauce and pepperoni, since this rock star meshes well with most any topping. 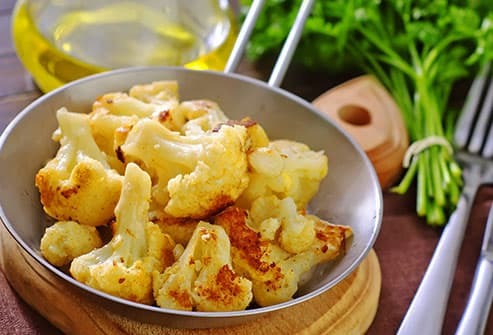 Celebrity chefs and foodies alike rave about roasted chunks of cauliflower. They have a meaty texture and nutty, caramelized taste. Stir them into any casserole or serve them as a side to steak with an easy-to-whip-up blue cheese dressing. Strips of beef or chicken usually play the starring role in a satay, but florets can shine on a skewer, too. 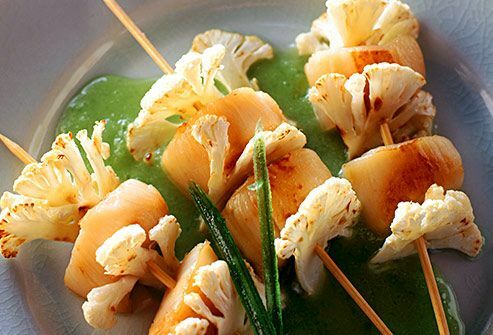 Pair them with scallops or just broccoli for a vegetable medley. Then drizzle with a marinade. Their firm texture can take the heat of your grill, so try it on kebabs, too. News release, Kansas State University.